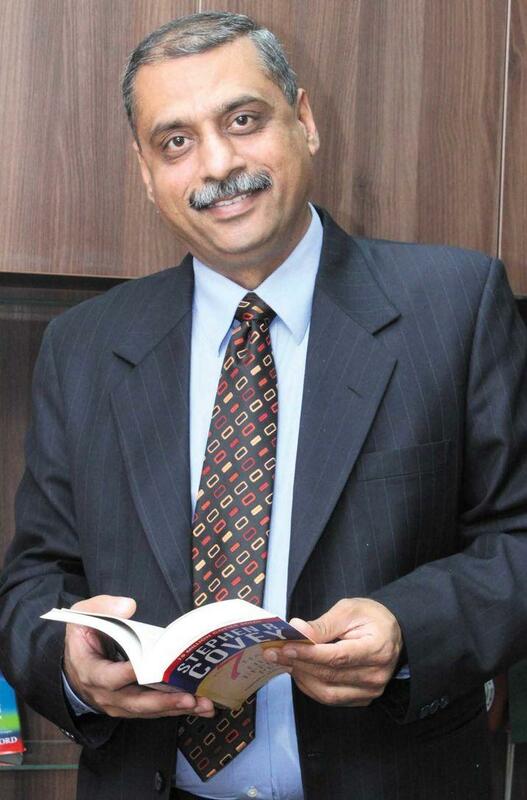 It is both an honour and privilege to serve both as Director Academics and Chief Administrator of Akash International Residential Public School .The AIS community is warm friendly and offers highest standards of academics. Having developed its reputation for high quality holistic education in a span of 10 years, Today the school has student’s representing every nook and corner of India. The curriculum here at Akash Provides for smooth progression and easy transition between primary secondary and senior secondary levels. The curriculum here is regularly reviewed to ensure that it remains appropriate to the needs of our learners. The curriculum emphasises the acquisition of knowledge, understanding, critical thinking and problem solving abilities for all students attending our school. We believe that every learner is unique and special, that they all have the ability to learn. We believe it is our responsibility as educators to nurture and develop every learner to prepare them for life. Learners here are continually encouraged to appreciate our diverse community and to care for others by becoming global citizens, develop a concern and active respect for environment. At Akash the educational community strives for excellence by preparing students for learning beyond their school years and assisting them to become lifelong learners, as well as helping them to be self directed, realistic and responsible decision makers when solving problems that they will encounter in our multicultural, ever-changing world. We provide an exemplary educational experience that nurtures an international perspective developed through the challenging programmes. Not only do our students demonstrate excellent academic progress and achievement while at Akash International Residential Public School, they became grounded in the important qualities of integrity, leadership, adaptability, resilience and true compassion for others. Education here means so much more than the pursuit of top grades. Sports and arts, Community service and adventure activity are all central to balanced programme we offer at Akash International Residential Public School, and we are acutely aware of our obligation to prepare young people to make their way in the world as confident, caring and responsible citizens. Our experienced, qualified and trained teachers are consummate professionals who are always willing to go extra mile to ensure that all students are offered the opportunity to fulfil their potential both in and beyond classroom. We strongly believe in importance of teachers, Parents and facilitators collaborating and communicating openly and frequently. We look forward to serving you and your children in coming years. Interested Parents are encouraged to contact our school and ask any questions you may have regarding our school and programmes we offer. Learning at AIS, happens in more meaningful, joyful, and stress free environment. Why not come and judge for yourself. Education today has become of paramount importance. As educationists we strive to provide a holistic experience for kids. It’s just not imparting knowledge to kids, not just teach them and make them remember facts but to urge and exhort these future citizens of the world to challenge the status quo, to ask, to enquire, to investigate, to gain understanding and to apply these pearls of wisdom in their daily life and make the world a better place to live. I personally feel that in this age of technology and social media, students worldwide have become mere puppets to this global phenomenon and are gradually losing out on values. We inculcate virtues and qualities like compassion, humility and discipline to mold a conscious human being who is sensitive to the changes around him. Believing everyone can succeed, we strive to create a safe, supportive & inclusive environment where the abilities & individual differences of all the students are valued. We therefore, lay special emphasis on both curricular & co-curricular activities. The well chalked out academic & co curricular programme enables the students to attain their full potential. Encourage students to strive for excellence in academics, co curricular activities, sports & leadership. Provide safe, warm & positive environment in which each child feels secure & respected. Stimulate physical, emotional, intellectual & social growth of the child. Enhance & encourage love for learning, creativity & multiple intelligences. It is my strong belief that the team efforts of our dedicated teachers & a healthy parent- teacher relationship is the only path that leads towards a bright future & success of every child entrusted in our care. Let's remember young Malala’s words, “Let us pick up our books and our pens, they are the most powerful weapons.” Come and let us embark on this journey filled with fun, self-discovery, and fulfillment and make a difference in this world. Looking forward to a strong bond of trust, affection & respect between parents & teachers. Let's share the responsibility of nurturing the children & raising pioneers for a great future! Ms.Nithya Satish is passionate about her career in the field of education. A Teacher of Biology, she has vast and rich exposure in the field of Sciences, having started her teaching Career as a Biology Teacher for Grades 9 to 12 with the Cambridge Assessment International Education Programme; the then called Cambridge International Examinations Curriculum. With her enriching experience of over 14years in handling Student Learners across all age groups and gaining indepth Curriculum knowledge; her Core Competency lies in mentoring her Team of Teachers as a Curriculum Head emphasizing on quality work. She is known to have multifaceted talents as her career graph shows; in holding positions right from a Teacher into All School Timetabling Coordinator, All School Activity Coordinator for All School Formal and Cultural Events, IBDP Examinations and CAIE Exams Officer, CAIE Coordinator with vast work into Primary Checkpoint Examinations, Checkpoint Examinations, IGCSE Examinations as well as AS and A level Examinations of the CAIE Programs along with IBDP Curriculum, Head of Department Sciences with Horizontal Integration and Vertical Integration of General Sciences, Biology, Chemistry, Physics, Environmental Systems and Societies from Kindergarten to Grade 12 A levels. 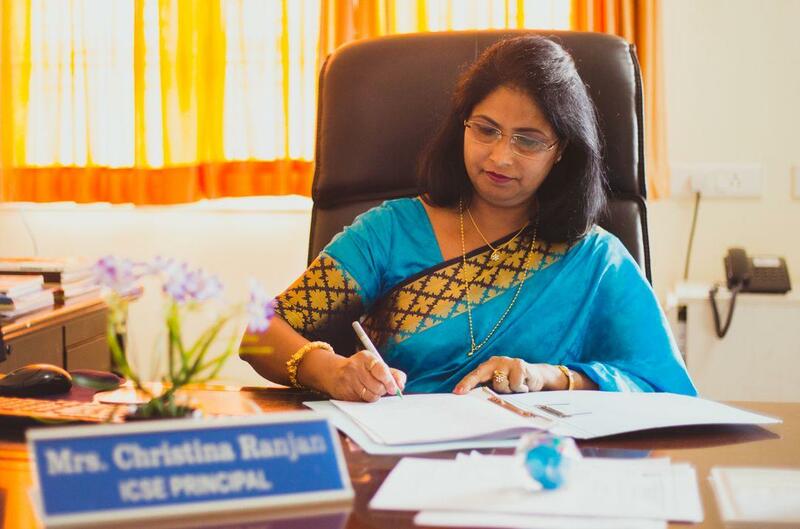 She holds an extensive experience through her journey across Daycare Section, Kindergarten Section, Primary Section, Middle School Section, High School Section and Higher Secondary School Sections for both Day Scholars and Residential Student Learners as School Coordinator, Vice Principal and as a Principal that has empowered her to emerge as a strong Academic Leader for her Students and her Teachers leading her Team of Students and Teachers to achieve excellence as Head of School. Mrs. Satish is a Stage Performer with love for Dancing, Singing, Oratory and Training in Soft Skills that she encourages her Team with. 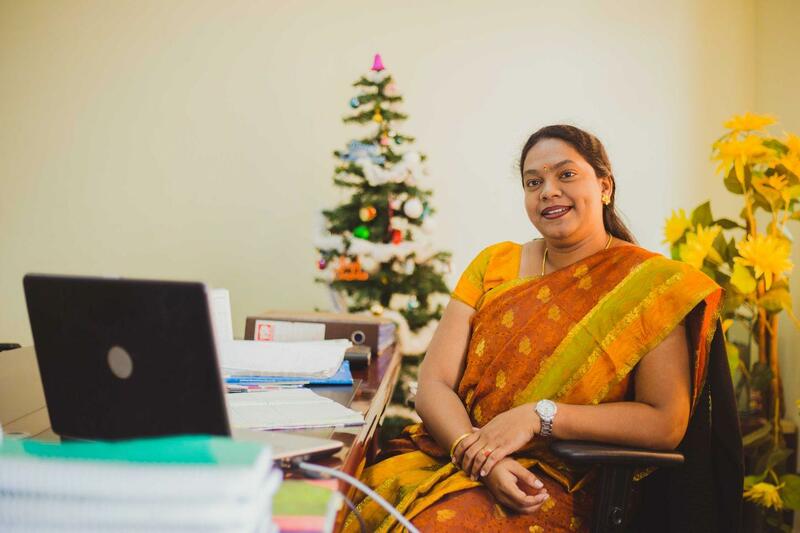 Mrs.Satish has chaired the Committee of Teacher Recruitment leading them into Teacher Training for Subject Assessment Strategies along with mentoring them in Understanding Student Behavioral Patterns and Styles. As an Initiator of Innovative approaches at Akash in Teaching; her Student Learners are catered to their differential Styles of Learning with tiered Teaching Techniques supporting Varied Learners from Slow Learners to Special Need Learners to Gifted Learners. At Akash, Mrs.Satish ensures that Every Child is a Student; leaving no stone unturned; a Learner in Life with inborn strength to learn; to appreciate; as well as to teach. She loves to identify her Student Learners as Student Leaders as much as she lovingly calls each of her Teachers in the Team as a Teacher Leader.